What a special place to be. I am working on a quilt inspired by my visit there many years ago. Thank you for your blog. I am looking at it for further inspiration for colours. 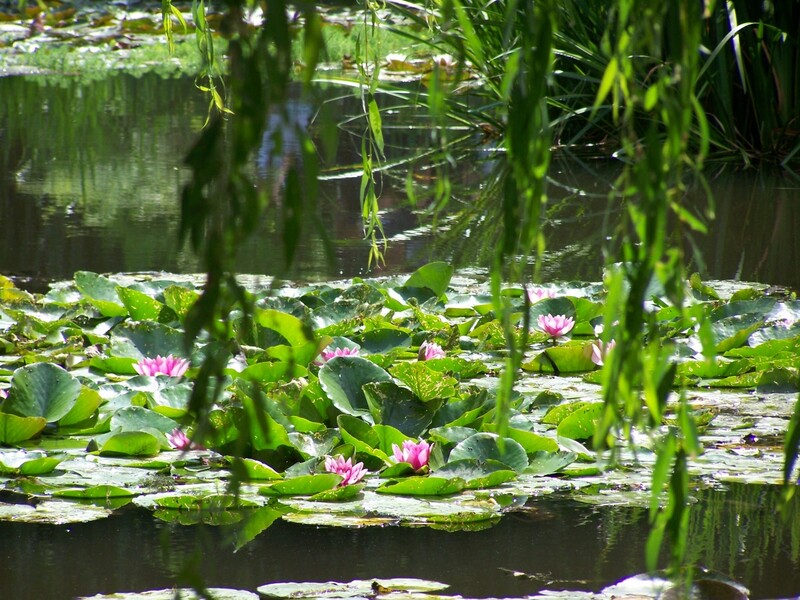 Thanks for publishing this photo you have captured perfectly the nuance of what Monet created both in his real garden and in his art. Preparing for a “Masters” oilpainting class, I was searching for actual photographs (as opposed to reproduction prints). In my 20+ years of experience, dearest Ariane, your simple “Through the Willow” is the first to open a flood of tears from my eyes. Thank you for sharing your emotion, Jeannette. It gives sense to my sharing, too.